Discussion in 'Guitars in General' started by pfflam, Feb 12, 2012. I bought an Epi Dot in order to strip it and paint it in the manner that I do . . . I've been waiting to snag one cheap for a while and have a simple design in mind. What sort of tuner size am I looking at? can I get you're basic Les Paul style/size tuners, the kind with the large plastic tips? I want to add a Vibrola - will this fit? 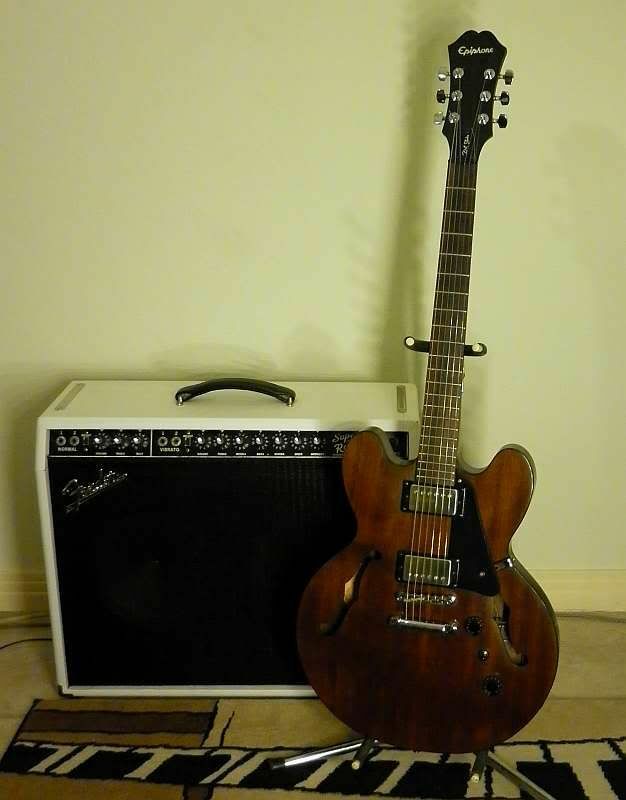 I think I want to add a Varitone knob -a la es345- is this difficult? About stripping: right now its sunburst, its really nice but I want to make it my own and paint it in a pattern with added burst interplay with the pattern. What is the best method of stripping the poly? I've used heat gun before (on an MIM tele)but that left the guitar rougher than I want to have to deal with this time, I also think I may want to leave some of the original stain if at all possible, while removing just the poly . . . . any recommendations? Finishing over the binding: how do I do that? masking? or scrapping? if masking is there a place to by the right sized tape? any other suggestions gladly listened to . 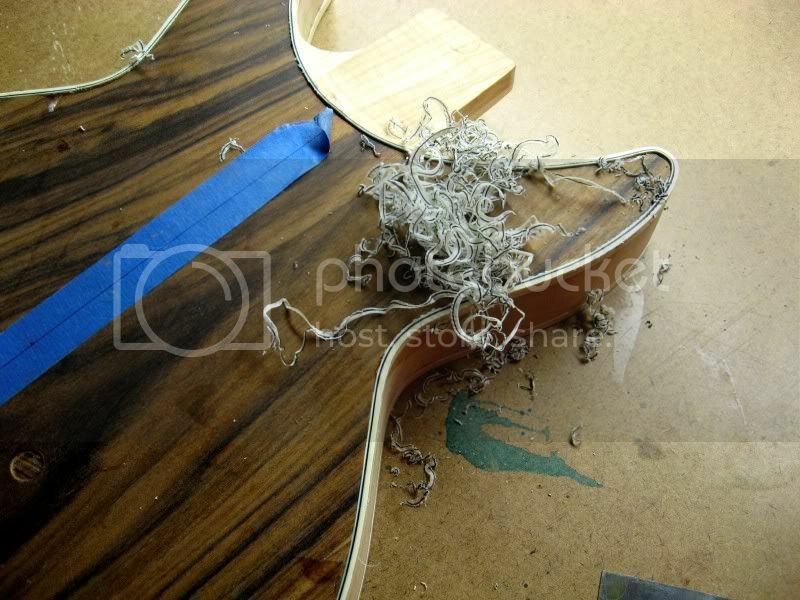 . .
How hard is it to refret a guitar yourself? where can I get an Epiphone 'bikini' headstock logo? Not an answer for all those questions? Well, then how about this: anybody work on their Epi Dot? Not trying to be a smart a$$, but if you have to ask, it's probably not a project you want to try. Pfflam, I'm wondering why you want to mess up a perfectly good guitar? I have an Epi Dot and wouldn't dream of doing what you are talking about doing. I know we all have our own thoughts regarding guitars but I'd just leave it alone and play it. Thanks for the input, but I won't be messing it up. I will be making it my own - none of my gear is unmodified by me, all of it must bear my stamp -I am a visual artist by trade, its just what I do. * where can I get an Epiphone 'bikini' headstock logo? * I want to add a Varitone knob -a la es345- is this difficult? * Finishing over the binding: how do I do that? masking? or scrapping? 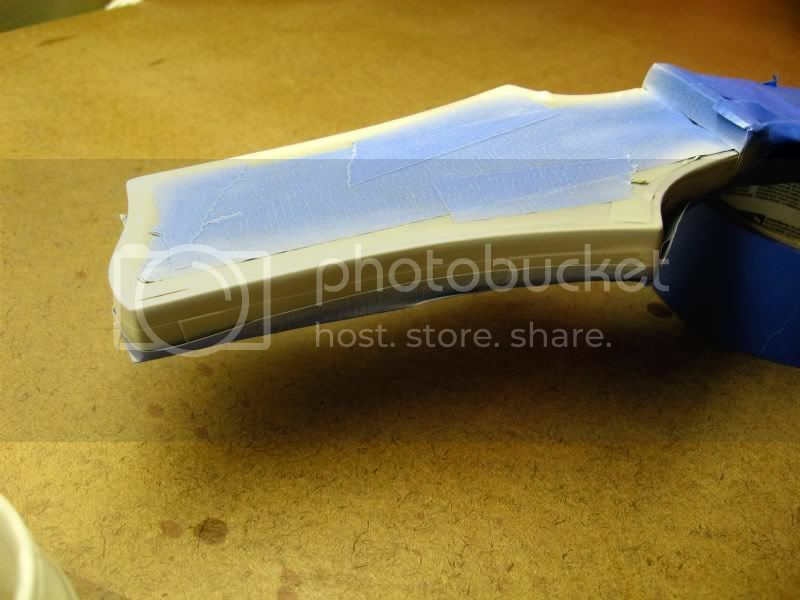 if masking is there a place to buy the right sized tape? I was only considering a refret because I think fingerboard binding would be nice and I know that would demand a refret - but I sure as hell am not going to spend 300$ for that . . . think I'll put faux binding (paint) on the board . . .
My modded Dot Studio.I replaced all electronics, switched the hardware from black to chrome, added a pickguard, and polished the matte finish.The finish looks much better than the photo depicts. The guitar plays, and sounds great. Project Guitar, TDPRI, MIMF, OLF, GAL, ReRanch, to name but a few. For each area you asked about, finishing, fretting, wiring, binding, etc., it takes some people YEARS (and many attempts, and a lot of time, and sometimes a lot of money) to get good at, and you asked them all at once, as if you could have it wrapped up in a weekend. This is why to get real answers, people who can give you those answers probably want to see you've done it at least a few times before and can talk details, that's why I asked you for your specifics and details. If this is a first attempt, then the questions are totally different...what kind of tools do you have, workshop, time table involved, how much $$$ are you willing to throw at tooling up for each operation...ground-level questions. If you have the experience already, then typically you just need some specific details plugged in, because you'll have the rest figured out already. The recommendation is to do your experimenting (if you are) on something else and only approach a real (read: valuable to you) guitar when you already know what's going to happen before you do it. Thus the 'if you have to ask, then probably don't' reply you got, because I was thinking along the same lines myself based on the way you asked and what you asked, and have said the same thing before to others who ask the 'luthier in a day' kind of questions. Epiphone now offers an ES-345 with a Bigsby and a varitone. Save yourself a lot of trouble and money. I think I saved the money by getting the Dot - and, it gives me a project, which is the real goal. The kind of art work I do is video installation and single channel - its what I get shown in galleries and have had collected in museums - but, before I did that I was a painter. My plan is to strip the poly and paint alternating orange and green stripes -though not as saturated in color as the first guitar - muted and yellowed, possibly with transparency - I will paint green then do a one or two part sunburst on the green then stripes of orange with the orange having its own sunburst at a different level - the result should have either the orange or the green coming forward some at the edges where the sunburst is either deeper or more shallow. On top of that I want to spray amber shellac. Options will be to do the whole guitar with these mutes ambered and sunburst dampened stripes, including the headstock - I'm not that worried about the tightness of edges and cleanliness of the lines - showing the work has been a part of the kind of art I make and art in general for ages, I am worried about the cleanliness at the binding however, since I want to keep the binding, I want the best way to get it clean with clean lines. If, after all this, I want to add binding to the headstock and/or fretboard I will have to learn - so far I think I won't want to around the headstock, but on the board I may want to paint a faux edge . . . I am not sure that will look even remotely convincing though - even though I'm not sure that would be the point. Then just maybe I want to add a varitone - which I cannot imagine is difficult; just a rotary knob some caps etc and viola! I definitely want to add a vibrola - cannot have an electric without a whammy. I have a sprayer and compressor and a space, I work on amps and guitars regularly so I can figure stuff out if I don't already know how to do it now. I am not trying to make a pristine guitar so much as one that has my piss stains and whatever sort of feeling that implies. I may be late to the party but a kit guitar seems like the right way to go in this case. I mod electronics in mine. 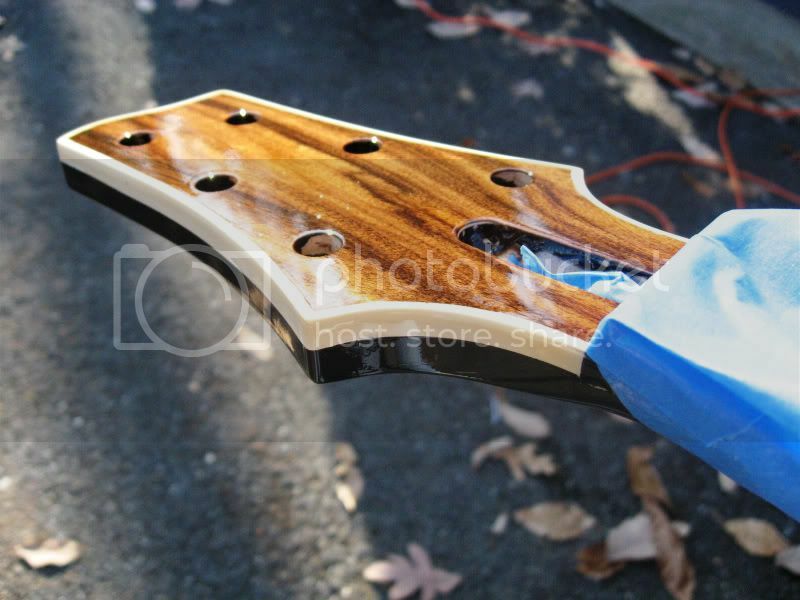 I talked to R&S Guitarworks about modding or removing a poly finish and it's very hard to do and you can damage guitar and yourself breathing in poly.....refreting a guitar takes equipment and talent. I've put in simple inlays on dot markers. I'm a carpenter/contractor none of this stuff your talking is easy( if you do it right) and you need to collecting right tools over time to do it. A good reference is Stewart Macdonald Guitar Supply for tools and how-to videos. Call or write them and they have a staff to answer questions. 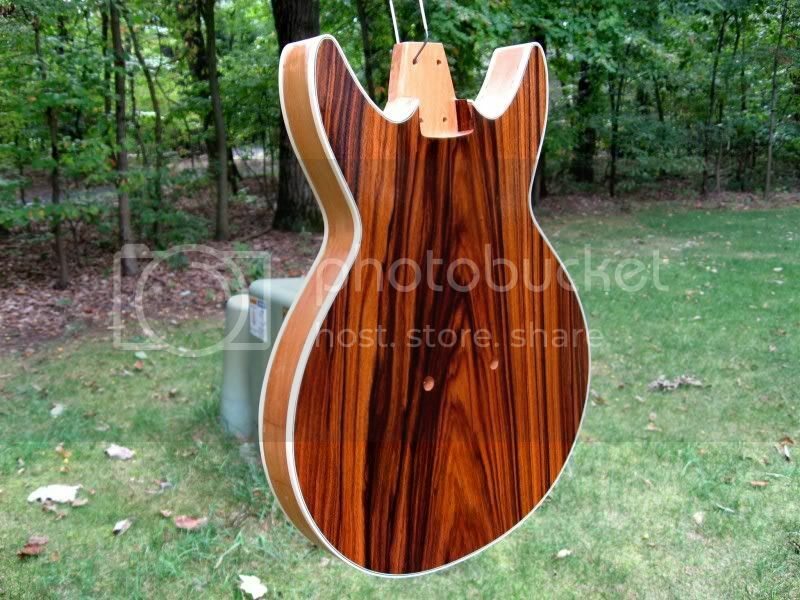 With that said a Epi Dot STUDIO has no poly finish I think. If I were you I'd look at buying guitar components, neck, body ect. Stewart and others sell those. Build your own guitar with Key components. OK, good enough for starters. I'm in the middle of an Epi Dot re-do myself. I'm sure our paths will be different, but it'll probably help answer some of your questions. I'm always in the middle of 10-15 builds or rebuilds myself and usually never in a hurry to finish any particular one, this one is about 3/4 of the way through and has been sitting in that state for probably a year now. I started taking pics after I had already removed the (black) hardware, I'm going gold myself. Since I'm going gold, I did a sprayover of the headstock logo with some amber tinted lacquer to make it look gold-ish, I like it. Mine was sunburst too. I used very fine sandpaper and wetsanded just the burst part off, I started out very very fine and worked my way backwards, lowering the grit until I got to a grit that was taking it off fast enough, but not scratching the finish. The superfine was taking forever, but better too slow than too fast, and I knew I was going to work my way down in grit to where it was correct, but not too much, then once I got to where I wanted and the burst was removed, I started working back up to smooth it out for the topcoats. I started out with 4000 grit (wetsanding) with Abralon pads, and worked down to 320, that was taking it off pretty quick, but not too quick, then back up to 1000 when I was done and prepping for re-lacquer. Let's call this end of first section. That probably took me a week to do, breaking it up into 1/2 hour segments a night. The biggest factor was to not go through that finish no matter what, because there's no going back once you do, it'll probably always show no matter how you try to patch it up, and I don't like making work for myself, so I took it really slooow and broke it up so not to get frustrated with it...and it worked. OK, that was (probably) November 2009. We catch up to it Spring 2010, the weather's nice, and ready to shoot a red-tinted lacquer toner coat on it. It's sanded to 1000 grit, no finer, because the two dissimilar finishes need a physical adhesion since there is no chemical adhesion to make them adhere to each other. 500 would be safer for a mechanical bond, but it would show scratches, I was fine with 1000, nice and smooth. Here's the final spray pics, after 5-7 clear coats were shot over the red-tinted toner coat, done and hanging. 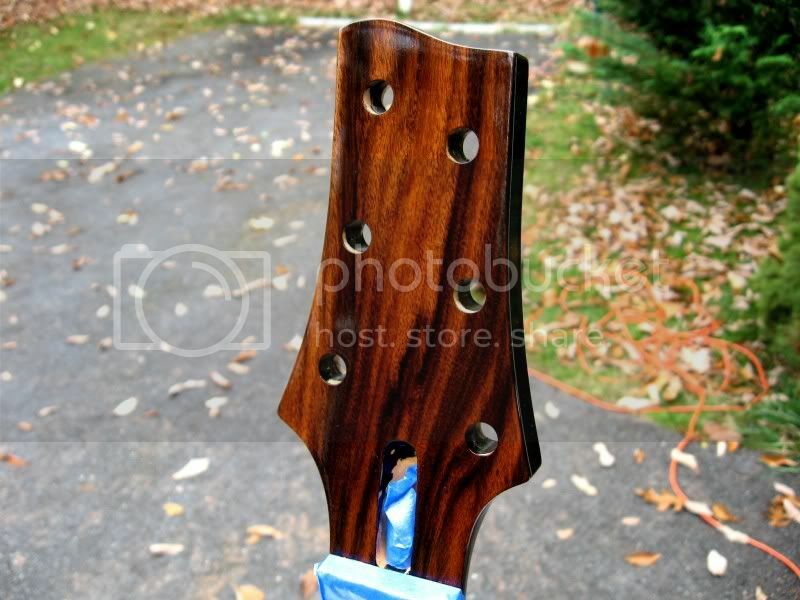 Here's the headstock, before and after I shot the amber over the headstock. The amber was a separate shoot from the red that went on the body. Biyatch looks like gold inlay, no? ...then clearcoated over the whole thing. Who would know it was faux? The stock pot holes were too small to take the threads of a standard pot, so I had to carefully enlarge them, using a countersinking bit first, then using the right drill bit on reverse, then forward, so as not to chip the new finish. Had I known they were to small, I obviously would have drilled them out before I shot the finish. After this was done, I went back and took a Q-tip with some lacquer on it and wiped the inside edges of the pot holes to seal them up. I wanted to add a standard type of Gibson 3-way pickup selector switch to the upper bout. But hopefully this might give you some ideas or help you in some way as to what you can do with yours.